Pratsam is a software company with 15 years of experience in online distribution of accessible books and newspapers, customized for use by the visually impaired and other print disabled. Pratsam supports the international DAISY standards and was the first company in the world to deliver a supplied distribution service with support for the DAISY Online Delivery Protocol. Since our founding in 2005, we've developed many products for easy online management of accessible digital audio publications. Our product range includes high-tech systems for the production and Internet distribution of publications in DAISY- and EPUB-format. For playback, we offer solutions for computers, tablets, mobile phones and devices customized for the visually impaired. The operational reliability of our distribution solutions is recognized as being of a high quality, and we consult and tailor our solutions in accordance with our customers’ needs. Welcome to our session at CSUN 2019! 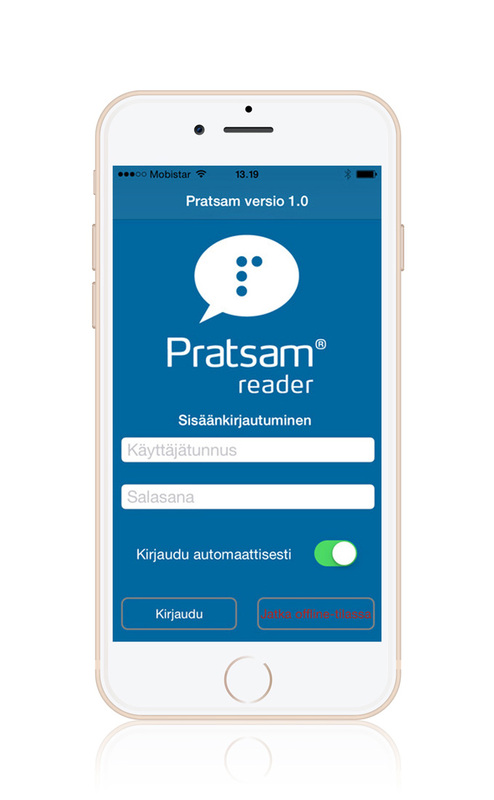 Pratsam Reader App is a DAISY player for use with mobile telephones and tablets, which has been launched in Finland by Pratsam together with the Finnish state-owned special library Celia. Pratsam Reader App is now available for download on Google Play or App Store!